" Ideal for use by an individual, or for light use in a small office or low-volume department. " 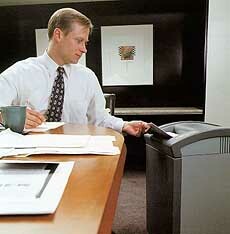 This entry-level office shredder is ideal for heavy individual shredding or for a small department or company. 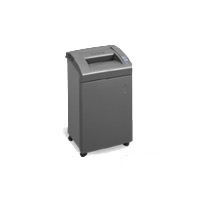 This shredder offers higher productivity than personal shredders at a very affordable price. The 1130S has 1.75 cubic feet (13 gallon) shred bin that lets you shred longer. Features automatic on/off, Smartshred controls and EZ-Feed 9 1/4" throat. GBC Shredmaster 1130S has 11-12 sheet per pass capacity and it cuts paper into 5/32" chips at 25 feet/minute, including paper clips and staples. Moves easily on casters. Dark gray color with a 3 years limited warranty, 5 years on cutters.